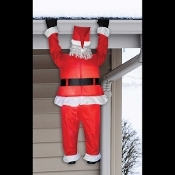 Airblown-FUNNY ROOF HANGING SANTA-Christmas Outdoor Decoration ANIMATED CHRISTMAS TRAIN SET Holiday Decoration Mounts in Tree! 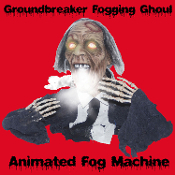 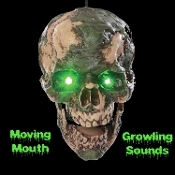 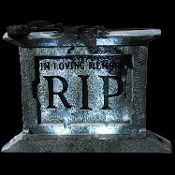 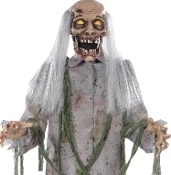 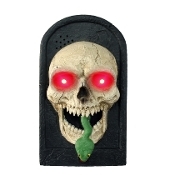 Amazing creepy crawling Zombie ground breaker animated prop decoration actually crawls along toward you! 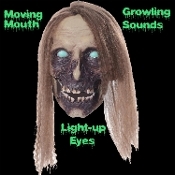 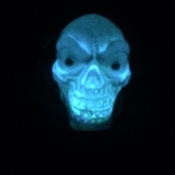 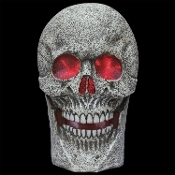 Eerie red light-up eyes for a great spooky effect! 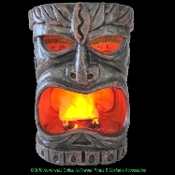 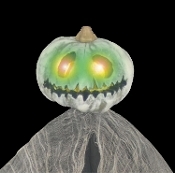 Compact Size fits him easily into nearly any nook or cranny of your Halloween haunted house scene.